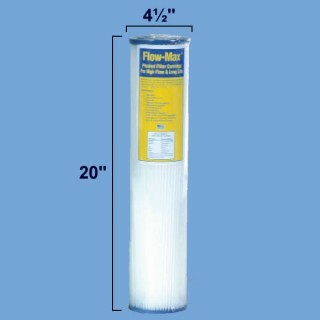 This Flow-Max 20" Big Blue water filter is a 5 micron sediment filter pleated cartridge that will reduce sand, dirt, sediment, and rust from your water which affect the taste and appearance. 5 microns is in the particle filtration category and is equivalent to the size of a red blood cell. The Flow-Max pleated sediment filter (FM-BB-20-5) offers excellent chemical resistance and high dirt holding capacity, all at an economical price. 100% synthetic and cellulose free. 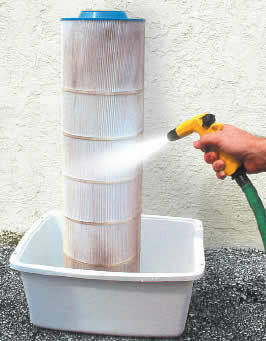 Note: 5 Micron and up pleated filters are cleanable and can be reused a couple of times, depending on water conditions. This water filter fits most water filter housings that require standard-sized large Big Blue 20" water filters (20" x 4½"). It is compatible as a replacement filter for all 20 inch Big Blue filter housings by Culligan, Ametek, Pentek, US Filter, Plymouth Products, American Plumber, and others that use 20" x 4.5" filters. These Big Blue filters feature a higher flow rate and dirt-holding capacity than standard-sized sediment water filter cartridges. Flow-Max filter cartridges outperform wound, spun, resin bonded and other "depth" type filter elements because our cartridges are pleated to provide increased surface area and longer life. Flow-Max filter cartridges outperform other pleated elements because our high performance filter media is systematically produced using 100% synthetic fibers, with no binders or additives to leave a residue, foam or contaminate. Our filter media is dramatically thicker than other products. 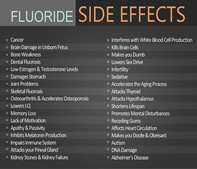 For this reason, Flow-Max cartridges provide "depth" filtration. Filter life depends on water conditions and use patterns; it is recommended that the filter be replaced when water pressure drop is noticeable.